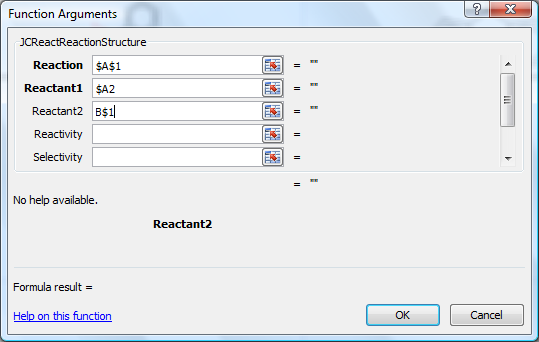 Example 1: JCReactProductStructure function constructs a possible product for each reactant pair. 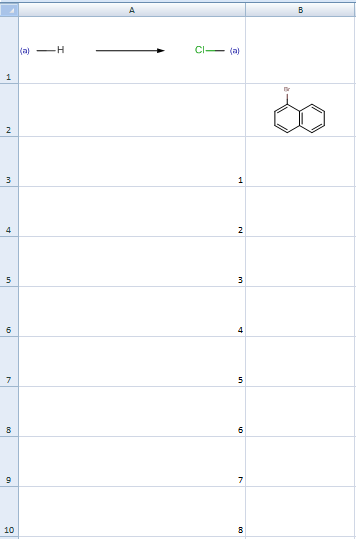 Copy the function from the B2 cell to the other cells of the B2-G7 range by dragging. Constructed products are displayed in the cells of the B2-G7 range. 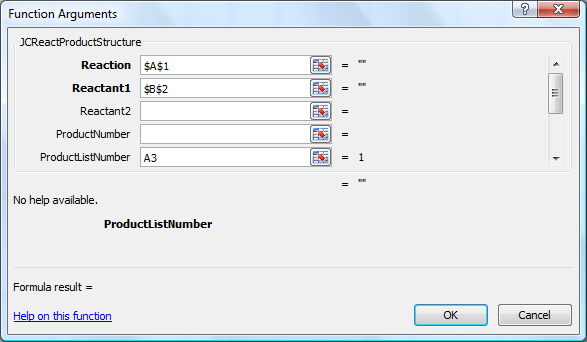 Example 2: JCReactProductStructure function constructs multiple products. 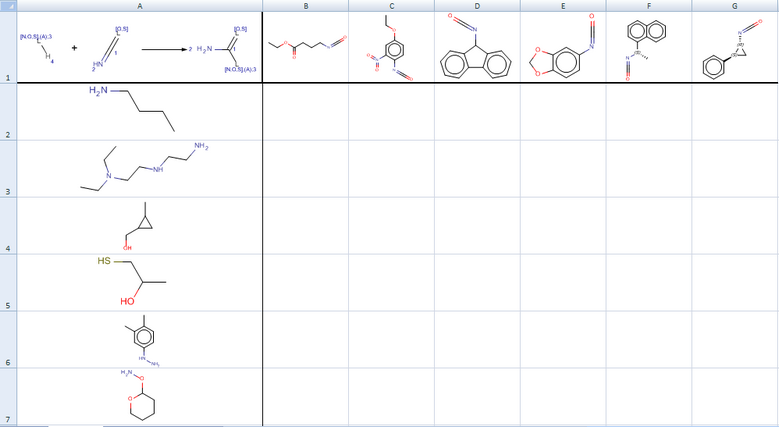 Copy the function from the B3 cell to the other cells of the B3-B10 range by dragging. Constructed products are displayed in the cells of the B3-B9 range. 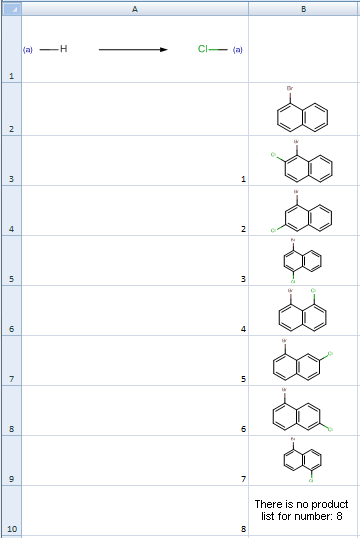 There is no product list for number 8 - it means that there are 7 possible products. 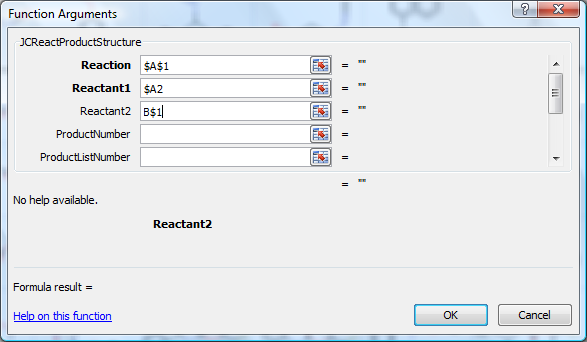 Example 3: JCReactReactionStructure function constructs a possible reaction for each reactant pair. 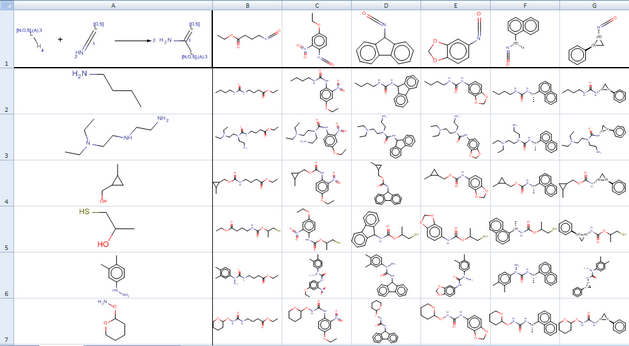 Constructed reactions are displayed in the cells of the B2-G7 range.